INHISCA, ES UAN EMPRESA DEDICADA A LA FABRICACIÓN DE TODO TIPO DE ARTICULOS EN CAUCHO Y CAUCHO METAL, PERFILERIA ESPECIAL Y TORICOS, INYECTADOS Y MOLDEADOS EN TODO TIPO DE MATERIALES, EPDM, NBR, NR, CR, SBR, VITON, SILICONA, ETC... JUNTAS DE CARTON COMPRIMIDO, TEFLON, NYLON, FIELTRO Y OTRAS FIBRAS. 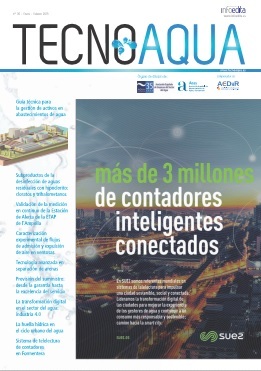 ESTAMOS ESPECIALIZADOS EN JUNTAS DE ESTANQUEIDAD Y ABASTACIMIENTO DE AGUA, MEMBRANAS, JUNTAS FILTRO, JUNTA DE BATERIA, ETC...UNA AMPLIA GAMA DE PRODUCTOS DEDICADOS AL SECTOR, SOMOS PROVEEDORS HOMOLOGADOS POR EMPRESAS MUNICIPALES DE AGUA, PROVEEDORES DE COMUNIDADES DE REGANTES A NIVEL NACIONAL. NUESTROS PRODUCTOS SON FABRICADOS CON MATERIA PRIMA NACIONAL, NO IMPORTAMOS MATERIAS PRIMAS DE OTROS PAISES, QUE NO PODAMOS CERTIFICAR LA CALIDAD DE NUESTROS PRODUCTOS. Contacte con INDUSTRIA HISPALENSE DEL CAUCHO, S.L.